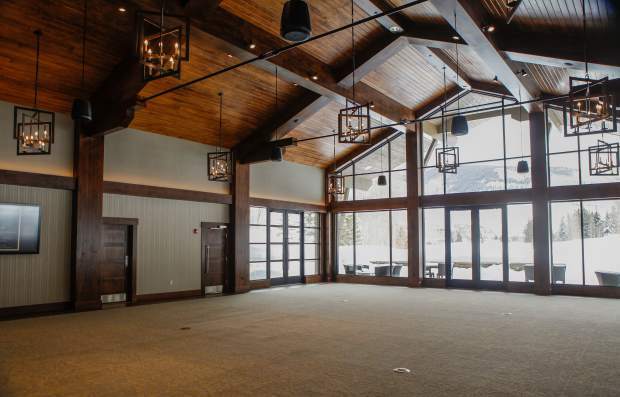 The space for events in the new golf and Nordic center clubhouse sits idle on Thursday in Vail. It is already fully booked next summer for events. $12.1 million: Cost of Vail’s new golf course clubhouse and nordic center. $3.8 million: Funds from an expired lodging tax spent on the project. $7 million: Town of Vail funds spent on the project. $4 million: Estimated cost of project delays due to legal challenges. VAIL — The first golf course clubhouse here was built in 1969, before anyone knew what this resort town would become. Now that it’s been replaced, people can laugh about it. The town of Vail and the Vail Recreation District — the former owns the facility, the latter runs it — hosted a couple of events to celebrate the opening of the new clubhouse and Nordic center at the Vail Golf Club. The first event, held Wednesday evening with a driving snowstorm raging outside the floor-to-ceiling windows of the facility’s banquet room, brought together the people responsible for getting the project complete. That included architects, contractors, current and former Vail Town Council members and their counterparts from the recreation district. 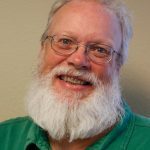 Vail Recreation District board member Jeff Wiles has a keen appreciation of what the project means. Wiles started working at the golf course in 1985 or so, and he remains a regular at the facility. Wiles said there was a lot of discussion about just what the new clubhouse should become, but a number of officials overseeing the design agreed on one point: the need for a grill separate from the banquet room. In the old facility, events would shut down the grill to golfers. At a Thursday ribbon-cutting ceremony, Vail Recreation District General Manager Dave Root was behind the bar. Root said separating the grill and the banquet hall was a good idea. And, with the grill open for lunch and weekend apres ski, Root said in just three weeks he’s starting to see some of the same people time and time again, the mark of any good neighborhood bar and grill. But the road from smelly old building to sparkling new facility was a tough one. The idea to re-do the clubhouse was developed as town officials looked for what to spend roughly $10 million from a suspended lodging tax. That tax was supposed to fund a new conference center in town, but costs of that project quickly spiraled beyond the tax’s ability to pay for it. With that project dead, the town had to decide whether to refund the tax to taxpayers — a difficult job, given that visitors paid virtually all of the tax — or find other uses for the funds. With a plan in hand, the town in 2011 asked voters to approve a plan that included improvements to the Gerald R. Ford Amphitheater, the playing fields at Ford Park and the clubhouse. More than 80 percent of town voters agreed with the plan. But when the clubhouse design took shape, neighbors objected to the facility’s size, its parking plan and a number of other issues. Those neighbors went to court, and eventually lost their case, but delay added years to the schedule — and millions to the project’s cost. Vail Town Manager Stan Zemler said the delays due to litigation added $4 million to the project’s price tag. Originally estimated at $7 million in 2012, costs quickly rose due to a couple of factors. The first was a sharp increase in construction costs, driven by everything from an improving economy to demand on contractors due to 2013’s flooding along the Front Range. In addition to the rising cost of construction, the project itself became more complicated as the old structure was dismantled. The new clubhouse was originally intended to be an extensive renovation, meaning the old building’s framing and foundation would be retained. It quickly became apparent that the project would have to be a from-scratch affair. By the time town and recreation officials cut the ribbon on the new facility Thursday, the project’s price had grown to $12.1 million. Despite the high price, officials and visitors say the project delivers on its promise. Ben Krueger built the Vail Golf Club in the 1960s and was the facility’s director of golf until 1991. At Wednesday’s reception, Krueger looked around, clearly impressed with what he saw. In the course’s first years, money was scarce and work got done as money was available. “We did a pretty good job with not a lot of money,” Krueger said. Sometimes, people were better off not asking where certain materials came from, like a certain truckload of trees that Krueger was able to get at a good price. Before the ribbon-cutting, Jones was sitting at a table in the grill with former Vail Mayor Andy Daly. Daly, who was on the board until November of 2015, had been through all the design questions and legal wrangling. He was all smiles Thursday. “This place is incredible,” he said, as someone joked the former mayor might just get married again — to his current spouse, of course — just so the event could be held in the banquet room. That banquet room is already popular. At the ribbon-cutting ceremony, Daly said the banquet room is already mostly booked for the summer.